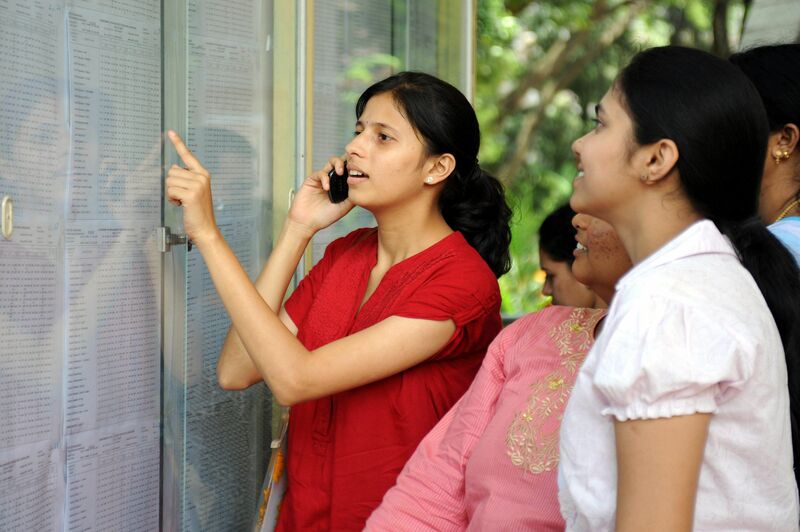 The Department of Pre-University Examination declared the Karnataka PUC II results on Monday. This year, a total of 6, 71,473 candidates appeared for the exams out of which 4,14, 587 passed the exams. The total pass percentage stood at 61.73 per cent which is higher than last year's pass percentage which was 57 per cent. Udupi district has topped the list with a pass percentage of 92.20 and Dakshina Kannada with 90.91 per cent. The lowest pass percentages were bagged by Yadgiri and Chitradurga with 53.02 and 51.42 per cent respectively. Like every year before, girls have outdone boys with a pass percentage of 68.2 to a considerably lower 51.42 by the boys. Olvitta Dsouza from Alva's PU college in Moodbidri topped the list with a total marks of 596 in the Commerce stream. Shri Krishna Sharma from Sathyasai Lokaseva PU College also scored 596 marks in the Commerce stream and Shreeya Shenoy from Canara PU College in Dakshina Kannada district scored 595 marks in Commerce. In the Science stream, Rajath Kashyap S from Kumaran's Comp PU College scored 594 marks, Divya K from Vidyamandir PU College scored 593 marks and Priya Nayak from RV PU College, NMKRV scored 593 marks. Five students from Indu PU College in Kottur Kudligi Taluk in Bellary District have topped the arts stream. Kusuma Ujjini from Indu PU College scored 594 marks, Hosamani Chandrappa, Nagaraj Siddappa and Omesha S scored 591 marks, Sachin K G and Suresha H scored 589 marks. Barikara Shivakumara from SUJM PU college in Davanagere District also scored 589 marks.